It's a shame that the Citroën brand never really made it big in North America, because nobody does weird ads like Citroën. 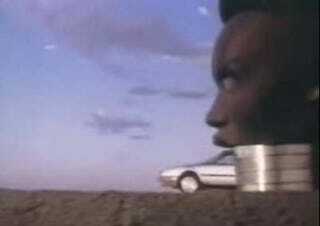 Post-apocalyptic scenarios, brain-scrambling animations, and- of course- the giant robot head of Grace Jones! When you're done here, you might enjoy our favorite VW ads, then continue your car-advertising overdose with the Datsun, Toyota, Renault, General Motors, British Leyland, Ford/Lincoln/Mercury, Honda, and Chevrolet ads.